We’re in the home stretch! And right now I’m busy as hell working on Halloween costumes, so much so, that I could think of little else to draw today. 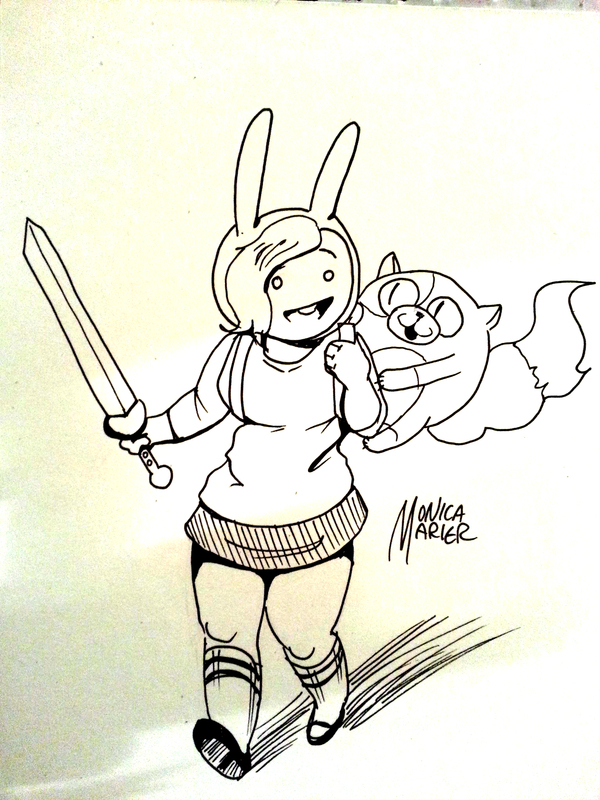 This here is Pendleton Ward’s Fionna and Cake from Adventure Time. Which I usually love but right now I hate because needles and patterns. I particularly hate Cake right now, because I’m making a Cake doll with about 13 separate pieces. Also, I realized that she doesn’t look much like a cat because her character design has no whiskers!